Your roof is one of the most important parts of your house, so when it needs repair you may be tempted to act quickly. Scammers know this, and if you don’t know what to look for you could be their next victim. Here are some tips from the professionals to keep you safe and help you avoid roofing scams. Roofing is important. There is no part of your home that does more to protect you from the elements. At the same time, roofing is one of the least understood parts of your home. It’s easy to understand how your walls, doors, and windows work. But most homeowners are not familiar with roofing. They don’t know what types of materials are used, how they are installed, or what the benefits are of different types of roofing. Without much knowledge about the materials and process, it’s easy for a homeowner to get taken advantage of by an unscrupulous roofer or a full on con man. There are a number of ways in which a scammer can take advantage of a homeowner. Scammers will target homeowners with all different needs and situations. Whether you need to replace your roof, repair a roof, or settle an insurance claim, there is a scam out there. 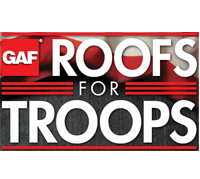 The most important thing you can do is work with a respected roofing company. Eagle Watch Roofers has hundreds of satisfied customers. You can see their reviews here. 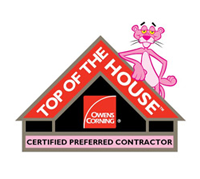 We are also accredited by the Better Business Bureau, certified by TrustDALE.com, a Platinum Preferred Contractor with Owens Corning, and well regarded in our community. So you know you are getting real, professional quality roofers whose work speaks for itself. One common scam involves supposed roofers who ask for a down payment to start work. Sometimes they claim that the down payment is to purchase materials. Other times a scam roofing company may claim that the payment is to pay for labor. Either way, once these scammers have your check, you will never see them again. A common variation on this scam involves insurance checks. If the roof repair or replacement is going to be paid for by the homeowner’s insurance company, the scammers will go after that check. Usually, when a claim is made, the insurance company will send out an adjuster. The adjuster assesses the damage and the insurance company issues a check for less than the total cost of the work being done. That check is intended to be used to make a partial payment towards the work to be done. When the job is finished, the roofing company will bill the insurance company directly. A scam roofing company will ask the homeowner to cash the check or sign it over. Once they have the cash in hand, the homeowner will never see them again. This is especially common with homes that have been completely paid off. With homes that are still under mortgage, the check may include the mortgage company. A check to a mortgage holder can take some time to clear, so it’s easier for a scammer to make a clean getaway when there’s no mortgage company involved. That being said, some scammers are not deterred, so don’t assume that because the check is going to the mortgage company you are safe. The easiest way to avoid this scam is to avoid companies that won’t begin work, or at least drop off materials, before getting a payment. If you don’t give them the money, they can’t disappear with it. When you work with Eagle Watch Roofing, we provide a written estimate at the beginning of a project and you don’t pay until we are done and you are totally satisfied. Another common scam involves door-to-door salespeople who are trained to sell new roofs, and whose livelihood depends on it. While there are legitimate salespeople selling new roofs, there are also some who are less than honest. It’s those dishonest salespeople that you have to look out for. One tactic these high pressure salespeople will use is to create fake damage to a roof just to get you to file an insurance claim. The salesperson will offer to do a free roof inspection. Once on the roof, they will take matters into their own hands. If the salesperson doesn’t see enough damage to warrant an insurance claim, they may cause damage themselves. Sometimes a scammer may tear of shingles to simulate wind damage. Other times they have hit the roof with a hammer or other tool to mimic hail damage. In any of these cases, the salesperson is actually damaging your roof instead of helping you fix it. If your roof wasn’t bad enough for your insurance to file a claim, then you probably weren’t due for a new roof. Creating damage to your roof could cause you to lose out. First of all, you could lose the remaining value of your roof. You probably could have waited and not had to replace the roof at all. And once you file a claim, that claim goes on your insurance history. It can raise your rates or even cause your insurance company not to renew your insurance. You are then forced to find new, more expensive insurance. To help protect against this dishonest salesperson, you can do a few things. First, never sign any kind of paperwork until your insurance adjuster has gotten a chance to fully inspect your roof. Second, don’t work with a company you haven’t investigated. Sk you neighbors. Check the Better Business Bureau. Visit the company offices and ask to speak to previous customers. While this is a little extra work, it can save you from a serious scam. Finally, trust your gut. Like buying a car or any other big ticket item, salespeople are trained to do one thing: make a sale at any cost. If you feel like a salesperson is pushing too hard or something doesn’t seem right, stop them right there. You are under no obligation to buy, and if you feel like you are being manipulated, you probably are. When you work with Eagle Watch Roofing, we will work with your insurance adjuster. We will meet the adjuster at your home at the time of the inspection and keep your insurance company involved every step of the way. We’re also happy to share stories from our many satisfied customers. 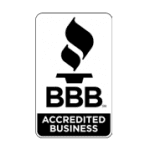 We are also certified by multiple reputable agencies, including the Better Business Bureau and TrustDale.com. The best way to avoid a scam is not to work with scammers. If a roofing company is resorting to scams, it’s because they aren’t good roofers. A legitimate roofing company builds it reputation and its business on the quality of its work and the value of its customer service. 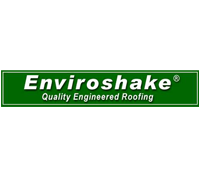 Any roofing company you would want to work with should have a proven track record. If you can’t see a roofing companies record of success, don’t work with them. On that note, always work with a company. Never make out a check to an individual salesperson or contractor. A legitimate business will not ask you to pay a commission to an individual if that money is intended for the company. Eagle Watch Roofing cares about our community and we want to keep you safe. So what’s the best way to avoid scams? Work with Eagle Watch and you’ll be left with no question that you are getting the best quality work from the best company to work with. Contact Eagle Watch Roofers today to get started on your fee, no obligation estimate. ← Does It Make Sense to Overlay a New Roof?